Soldier Technical: Applicants who have completed 10th / 12th exam pass in Science with Physics, Chemistry, Maths, and English with 50% marks in aggregate and 40% in each subject or equivalent from a recognized Institute for Indian Army Rally Recruitment 2019. Soldier Nursing Assistant: Applicants who have completed 10+2/ Intermediate exam pass in Science with Physics, Chemistry, Biology, and English with minimum 50% marks in aggregate and minimum 40% in each subject or equivalent from a recognized Institute for Indian Army Rally Recruitment 2019. Soldier Clerk/ Store Keeper Technical / Inventory Management: Applicants who have completed 10th / 12th exam pass in any stream (Arts, Commerce, and Science) with 60% marks in aggregate and minimum 50% in each subject. Should have studied and passed English and Maths / Accounts / Book Keeping in Class X or Class XII with 50% marks in each subject or equivalent from a recognized Institute for Indian Army Rally Recruitment 2019. 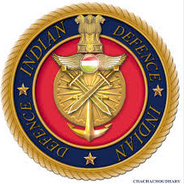 Soldier Tradesman: Applicants who have completed 10th exam pass (Except Syce, Mess Keeper and House Keeper who may be the 8th pass) or equivalent from a recognized Institute for Indian Army Rally Recruitment 2019.